Welcome to Week 11! If Netflix is eating up your time faster than this black hole, here’s what you might have missed this week. 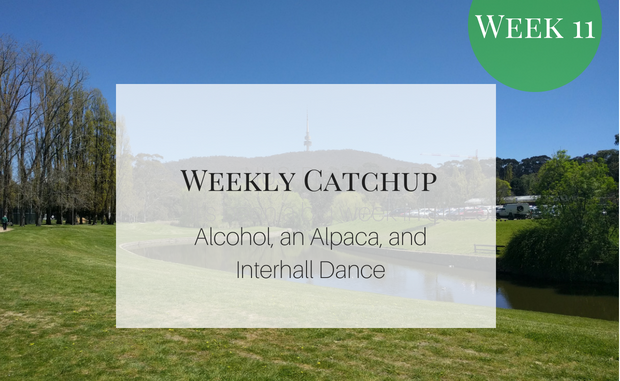 ANU and ANUSA, in partnership with the ACT government and FARE (the Foundation for Alcohol Research and Education) launched a ‘Reduce Risky Drinking’ campaign. The campaign aims to dispel claimed misconceptions about the prevalence of drinking culture at university, especially among first years. 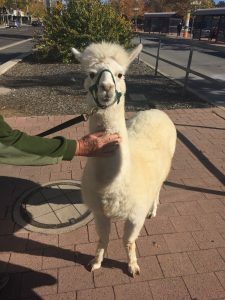 An alpaca visited campus on Monday. Reports on Schmidtposting gave his name as ‘Hercules’, although Observer has not been able to confirm this. When asked to explain the alpaca’s presence, the alpaca’s human simply stated that he “just wanted to make people happy”. Observer can confirm that his fluffiness lifted spirits. The Clubs Council voted in favour of requiring clubs to adopt two-to-sign banking at its meeting on Wednesday. This will be enforced from 17 September, the start of Term 4, after an amendment passed to delay implementation by a term. The Council also passed a motion to increase the cap for capital expenditure grants from $500 to $1000. Griffin Hall won Interhall Dance, with Unilodge placing second, and Burgman, Ursies, and B&G all tied for third place. Each team performed twice, with the theme for the first dance being ‘Opposites Attract’. This leaves B&G in first place on the Arts Shield, followed closely by Griffin Hall. ANU student Rebecca Beath played in the inaugural NRL Touch Football Premiership. Beath plays for the Parramatta Eels Women’s Team, which defeated Wests Tigers 4-3. The Eels next have a match on 30 June.